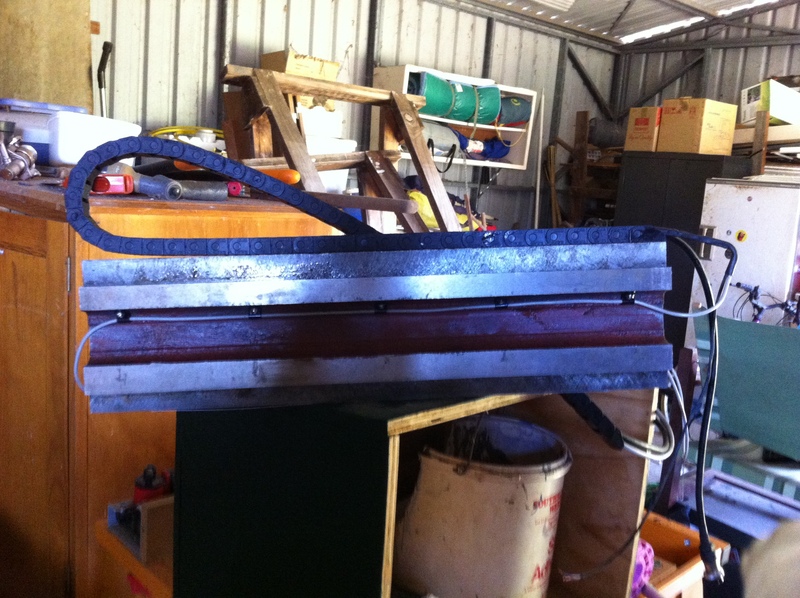 This project started after I started work as a site electrician at a Foundry/Machine shop Facility here in Australia, after learning a few things i wanted to try my knowledge and build a mill for myself to use. 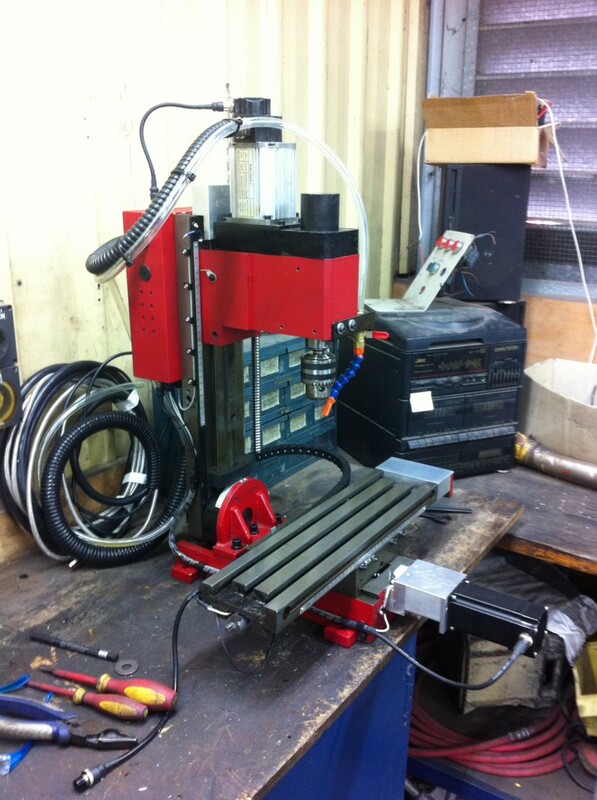 To get a working CNC mill took about 6 months to design and put together the hardest part was getting together the right equipment for the job, so here I am writing down all the information here for you guys to read, and hopefully you learn about some the equipment out there and hopefully pickup a few tricks for your own mill. 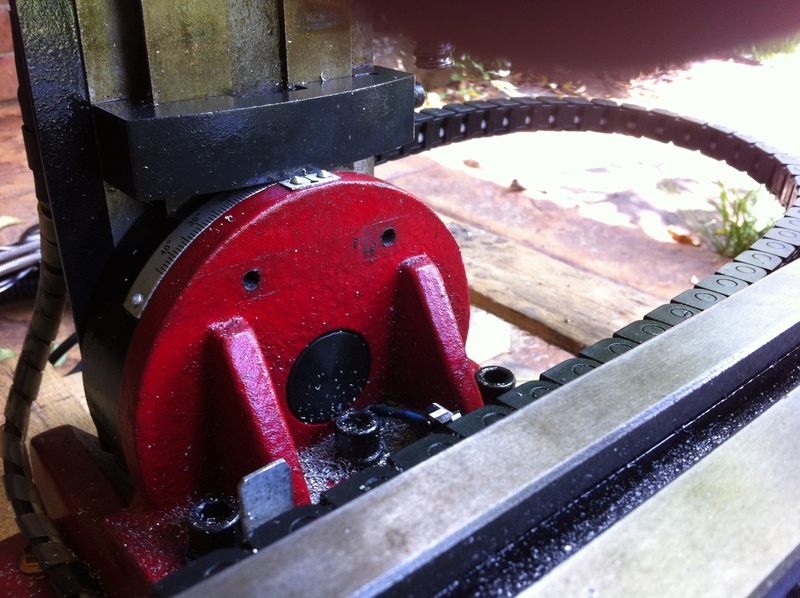 The first part of the project, selecting the Mill you want to use. 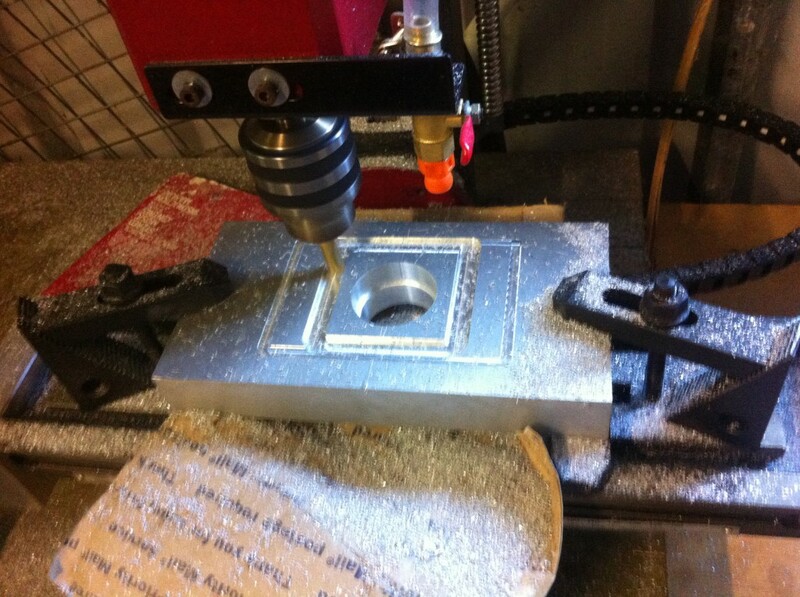 I personally chose the Sieg SX2 mainly due to the fact CNC Fusion manufacture the ballscrew kit designed to fit the X,Y and Z axis’s of this particular mill. That was the main contributing factor for me, I personally just wanted something simple to learn on. Once i chose the mill the research began to find the equipment to control the mill the way i wanted it to be controlled. 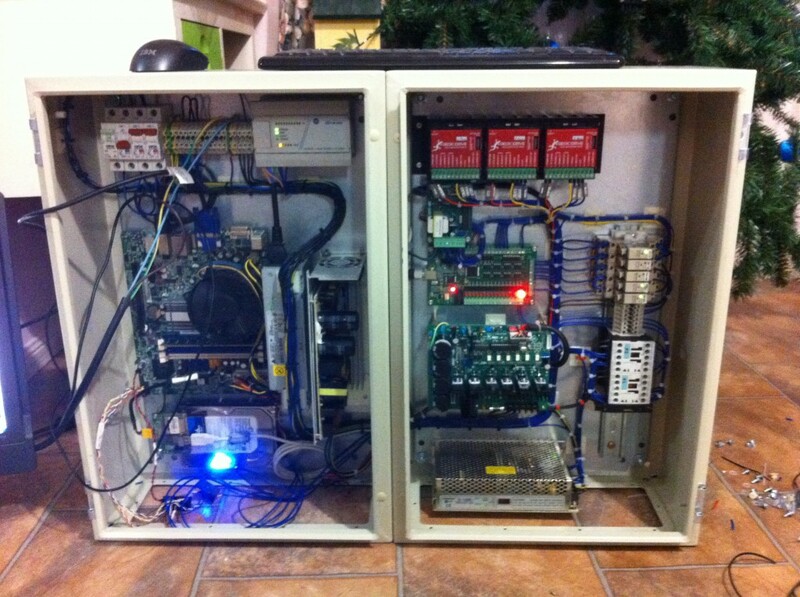 Find a suitable CNC controller for the job. 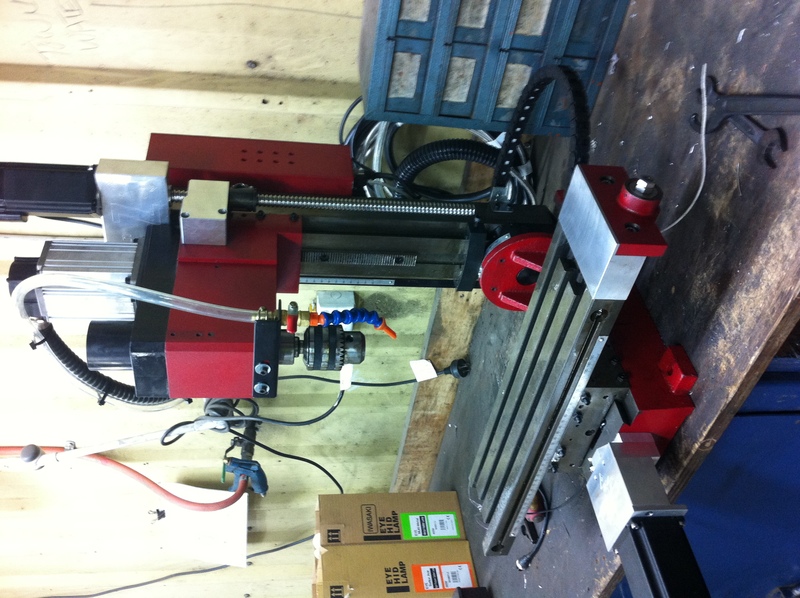 Be able to control spindle through CNC, Forward and Reverse. Be able to easily expand to a 4 axis easily later on. Limit switches for homing and axis over travel. 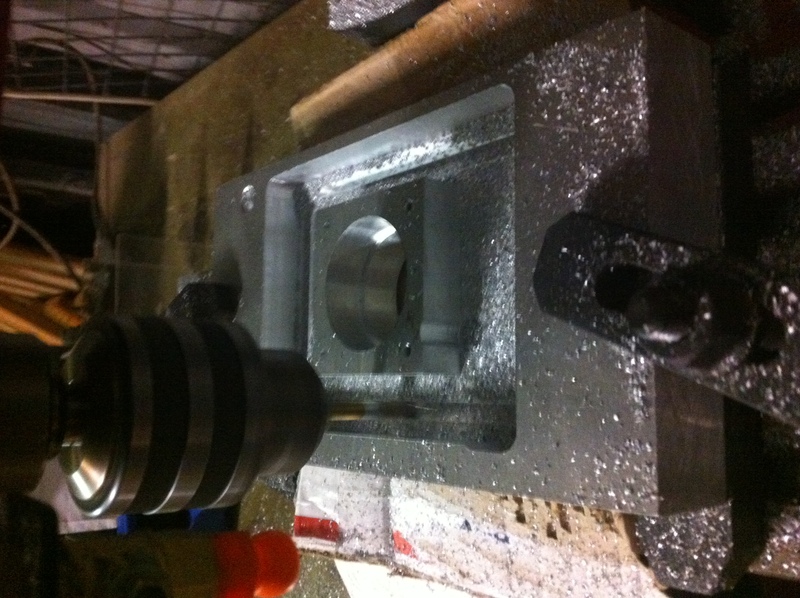 Build a suitable enclosure for the mill, with safety systems in place to prevent spindle movement while changing tool. (eg. Setup and Production Mode.) Still to be done so keep posted. The mills appearance when done to look like it was designed to be a CNC Mill, wasn’t easy but I think I did a pretty good job. Computer to fit in control panel. After writing down those requirements I set out on a quest to find what I needed. 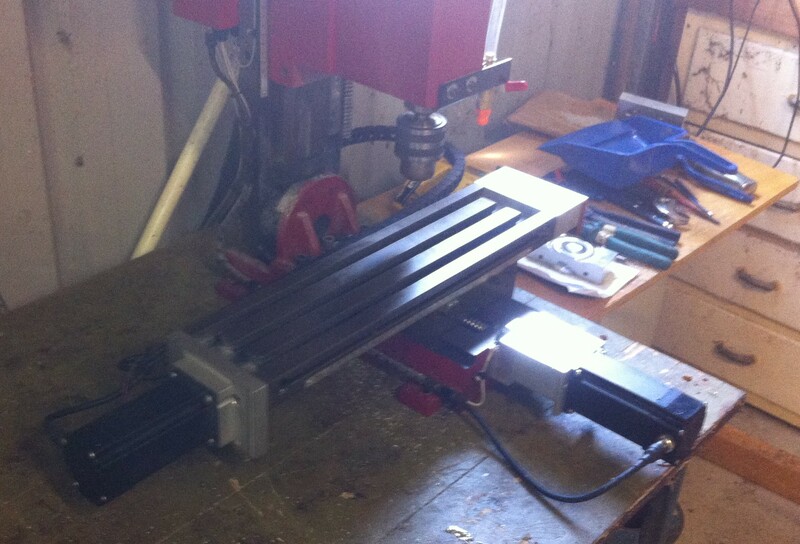 Now for the first task, find the CNC controller I wanted to use for this project. 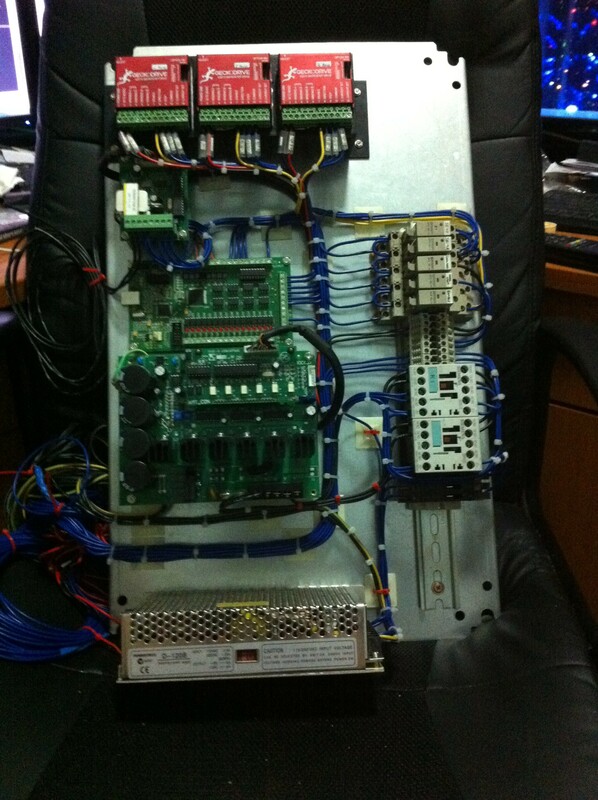 It had to be easy to wire and have enough inputs and outputs for what I needed. One of the main factors I had to consider was how i was going to connect it to the motherboard for the PC I chose. 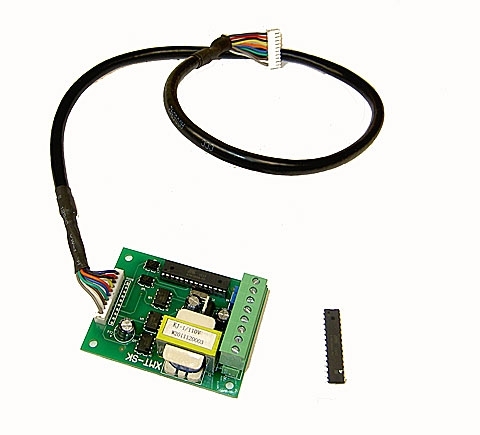 Most CNC controllers that I have come across utilize a parallel port and i found are limited in what you can do with them, in terms of the number of inputs and outputs. The PC I chose however did not have a parallel port but had a number of USB ports. 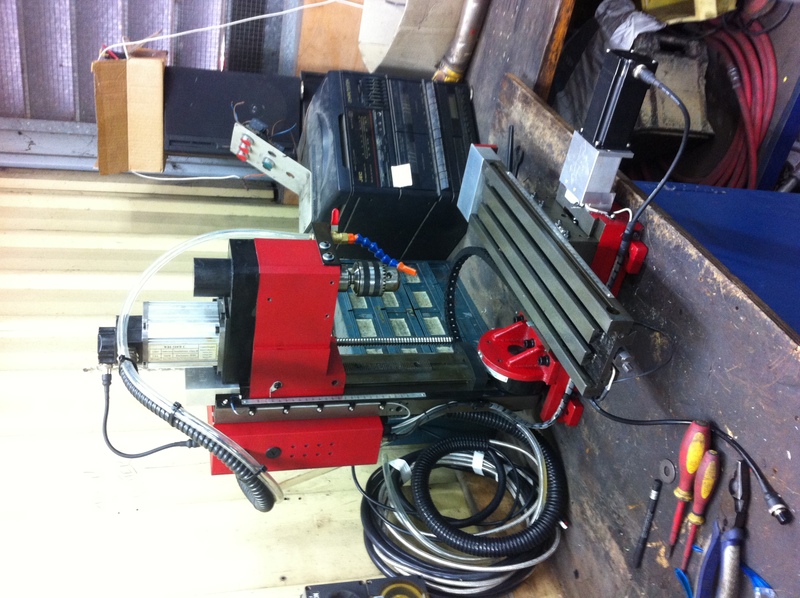 As there are not many CNC controllers on the market with usb my choices were limited. However, what I came across was perfect. It had plenty of inputs and outputs. 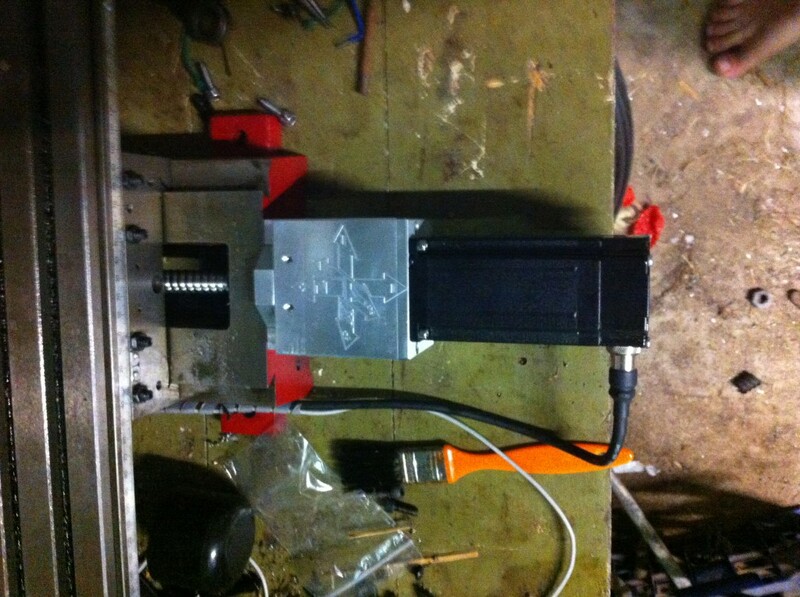 In fact it had designated outputs for the axis drives (enough for 4 Axis’s) and general purpose outputs. Another positive the general purpose outputs allowed me to use common voltage relays for controlling coolant or other devices on the output channels which I will explain later on. I had chosen the USB Motion Controller by Leafboy77. The second task, find a way of controlling the spindle, wasn’t easy. 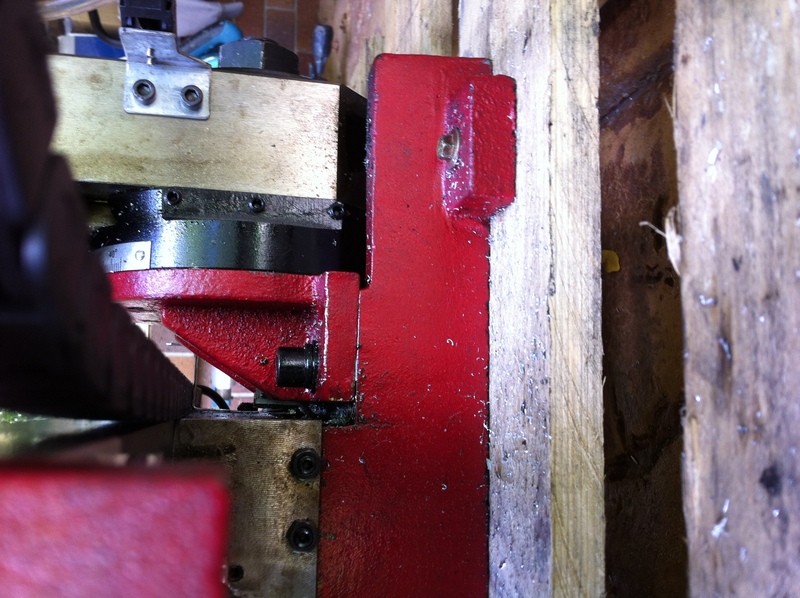 the options I had at the time was try and find a device to control the current drive that came with the mill or get a new spindle motor and drive. 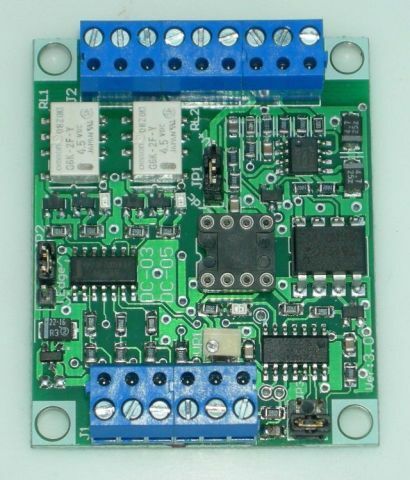 I looked at both options and was leaning towards finding a device to control the current drive even if i had to build the PCB and solder the thing myself, mainly due to cost. 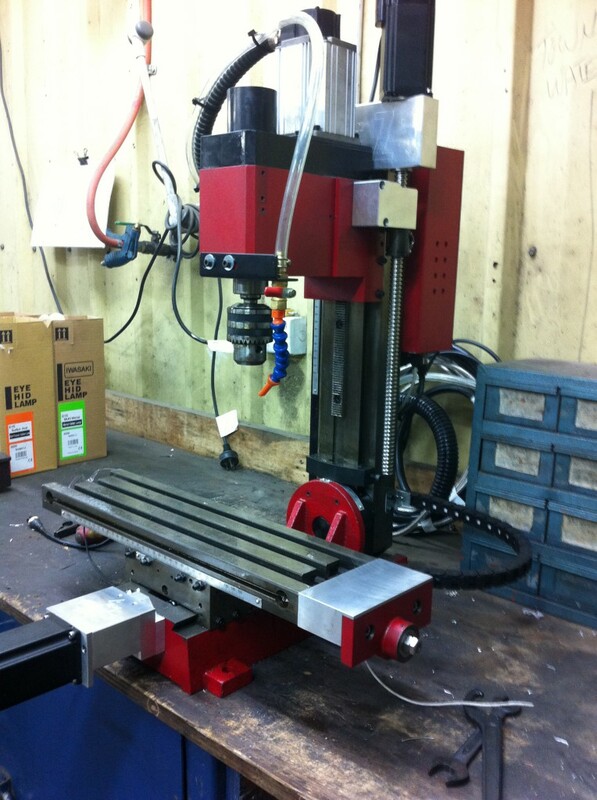 After months of searching i found a CNC conversion kit for the drive on the LittleMachineShop website. 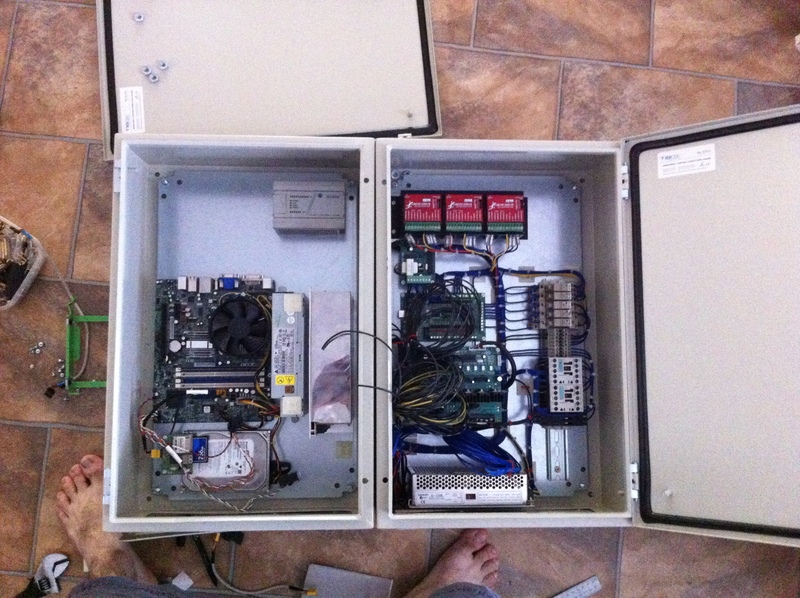 All the kit required to make the conversion was change an IC and plug in the new controller into drive. The new controller was capable of driving the spindle forward and backwards like i wanted, this was great news. Until i did more reading and found that the new controller for the drive required an Analog input. 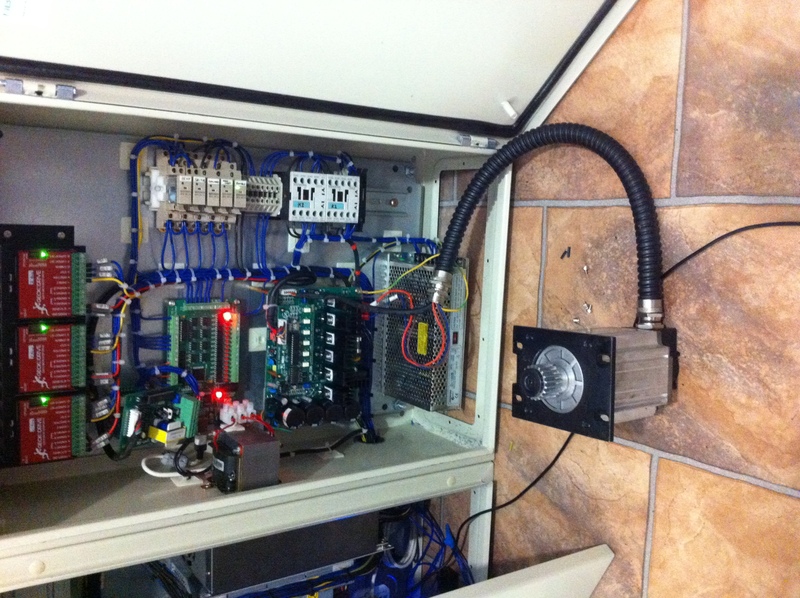 I had to then find something to convert the PMW signal from the CNC Controller to an Analog Signal for the drive. Did my research and came up with the DC-03 DigiSpeed GX V3 to do the job. So that was spindle control sorted. Finally. The third task, selecting the axis motors and drives, easier said then done. 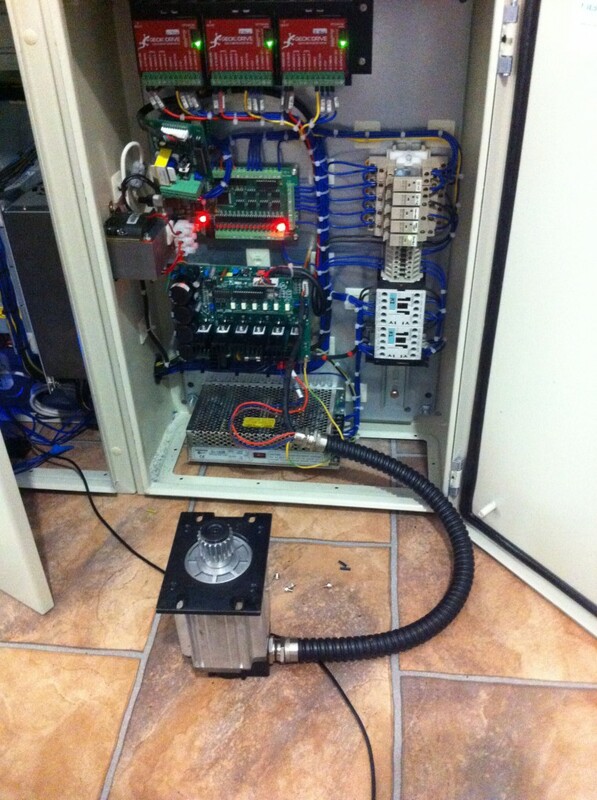 With converting to CNC you have 2 choices of motors for the axis drives, Servo Motor or Stepper Motor. 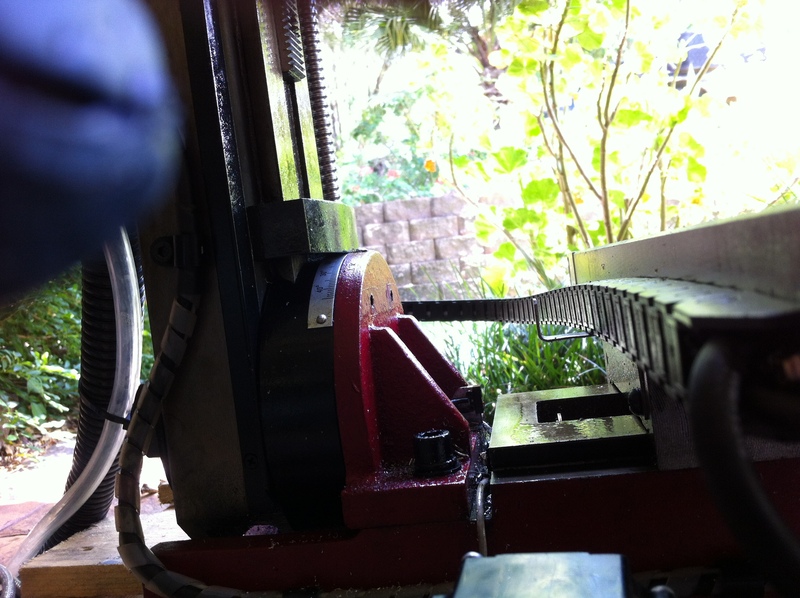 I had chosen the stepper motor for simplicity, unlike the Servo Motor which requires an encoder on the shaft and to be tuned (by equipment I do not have on hand) to operate correctly. 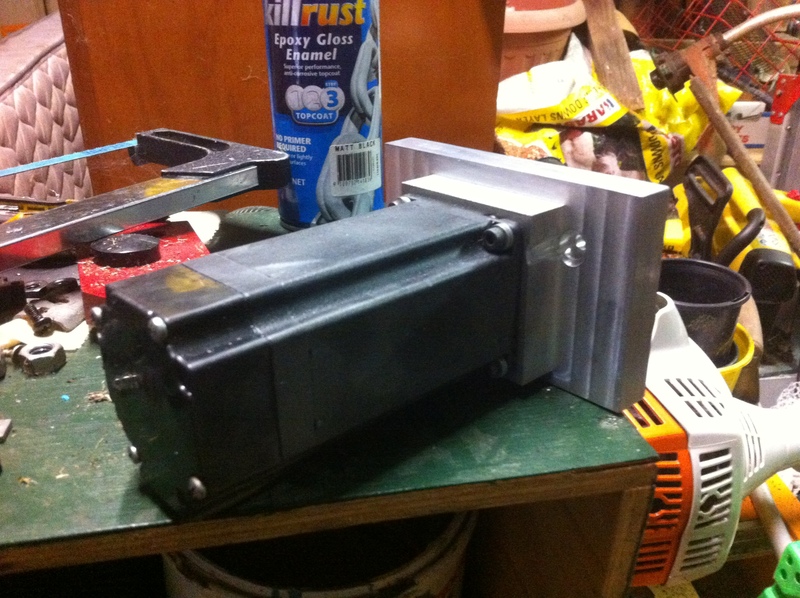 So i had selected what type of axis motor i was goin to use, now to chose what size motor. Now with the Sieg SX2 the required for to move the X and Y was not as much as the Z axis as it works on a vertical plain with no support to hold the spindle head weight. So in theory if i size the motors for the Z axis I would have no trouble. I did my research and found that a 381 oz/in Stepper motor would do the trick for the Z axis, so I bought 3 for the mill. 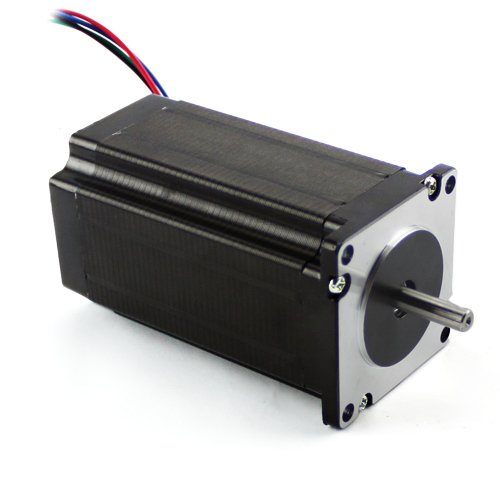 If you really wanted to you could use a 270 oz/in Stepper Motor for the X axis and Y axis. The motors were chosen so now onto the drives. 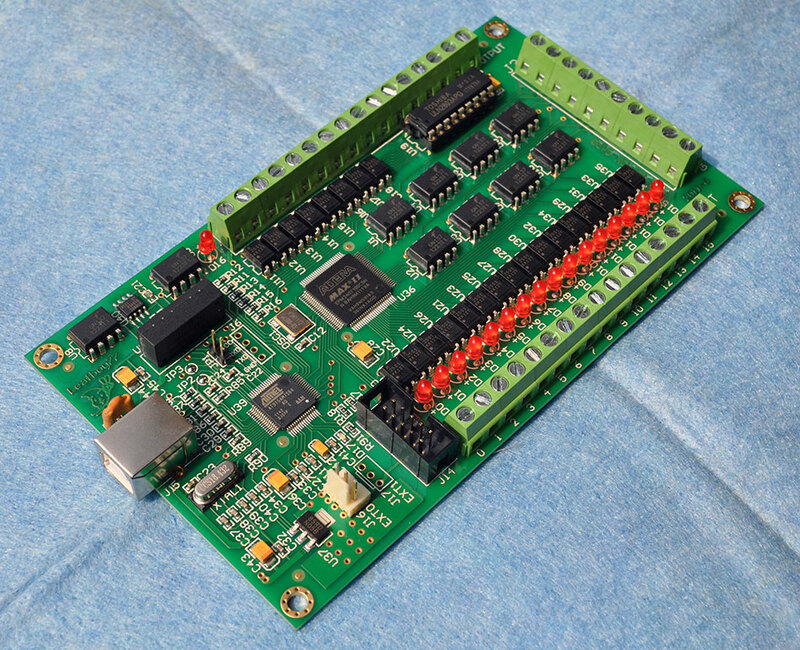 The interesting part about my CNC controller is that it switches the zero potential side of the circuit, always keeping the potential on the controller card at a safe enough level to connect to a pc. This makes it hard when selecting a drive. I did my research and i found the company Gecko who make good quality stepper motor drivers and so I am told. 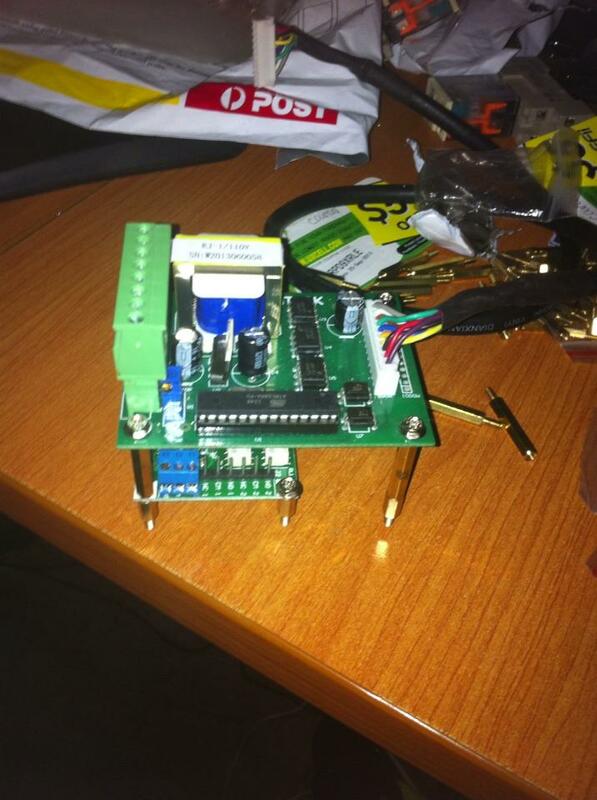 I looked at there website and chose the Stepper Motor Driver G201X which works perfectly with my controller. First off I purchased the Mini-Mill Ballscrew Kit #5 from CNC fusion for a LMS HiTorque/SX2L mill, 2 weeks later the kit arrived. Z Axis fit perfectly, X and Y not so much. 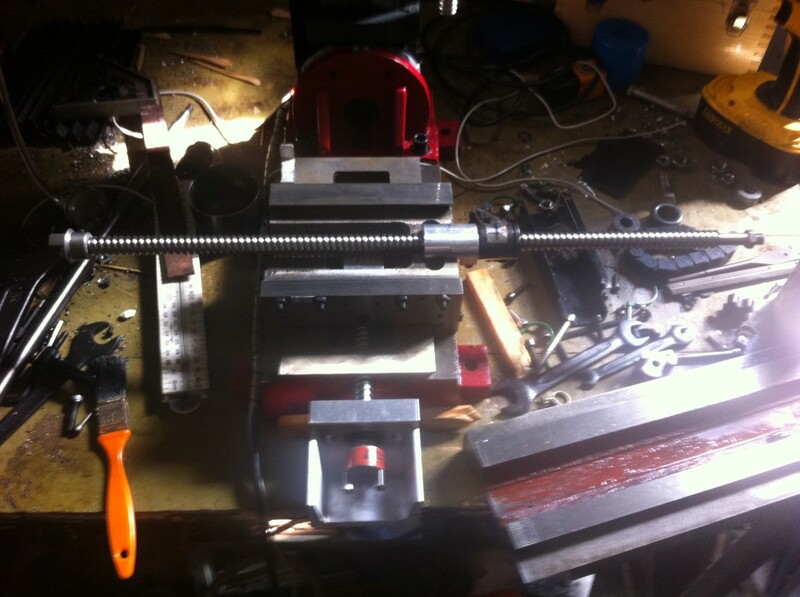 The X axis ballscrew center was out on both ends by 3mm and the Y axis ballscrew was 8mm too long so i had to get my own parts and mounts made up. 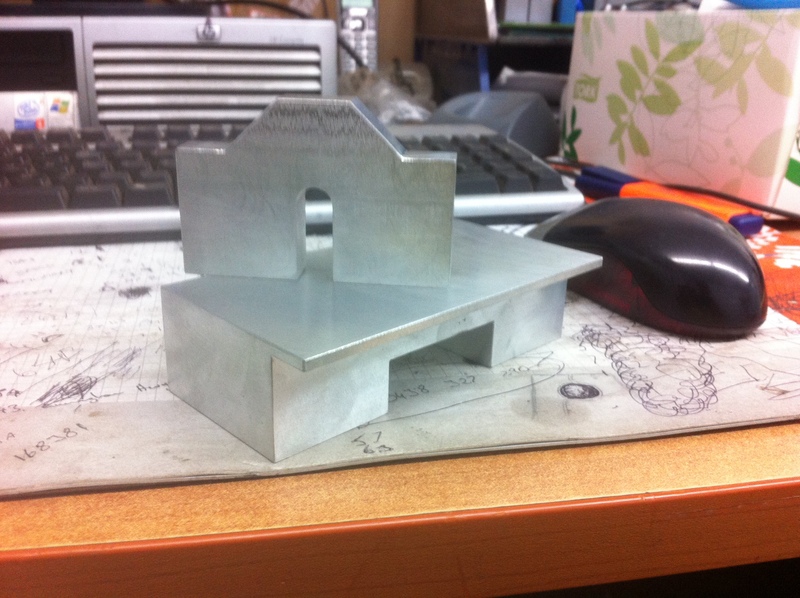 I got away with making a spacer for the Y axis, but there was a little more work involved with the X axis. 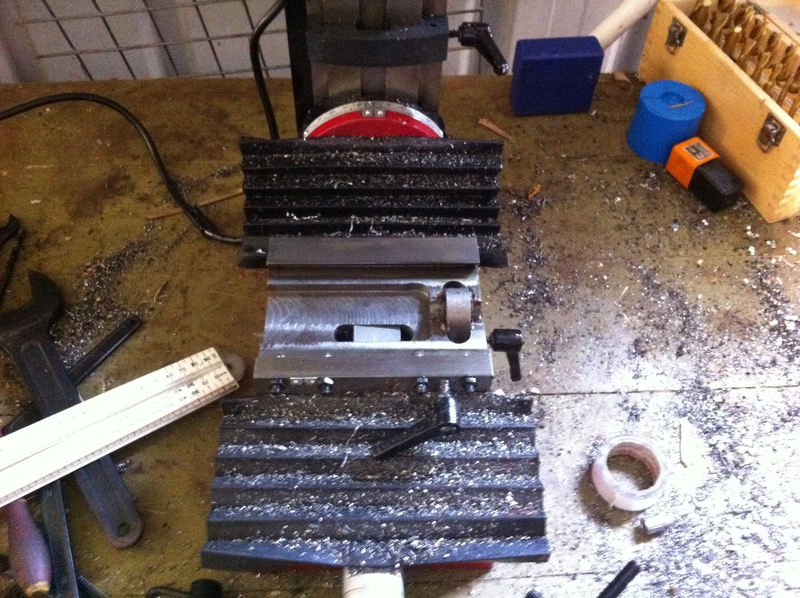 So i started to pull the mill apart to fit the kit. first I removed the X axis, then the saddle. Then I pulled off the Z axis so I could run the cable for a Y limit as I could not drill and tap an M3 hole for the cable saddle with it on. Here you can see the drag chain, the cable I had specially made up for the X axis limits all saddled up underneath and the X Axis motor cable. 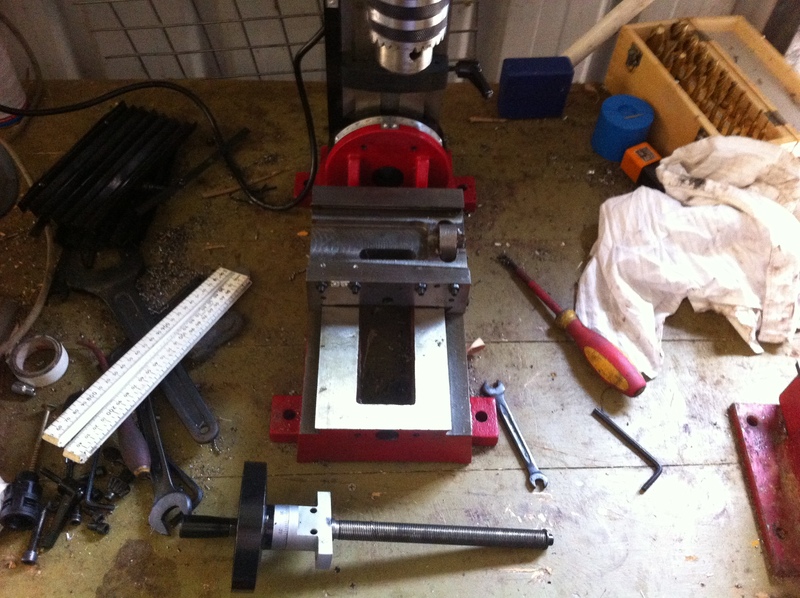 I then started to put the mill back together as far as possible without the custom motor mounts. 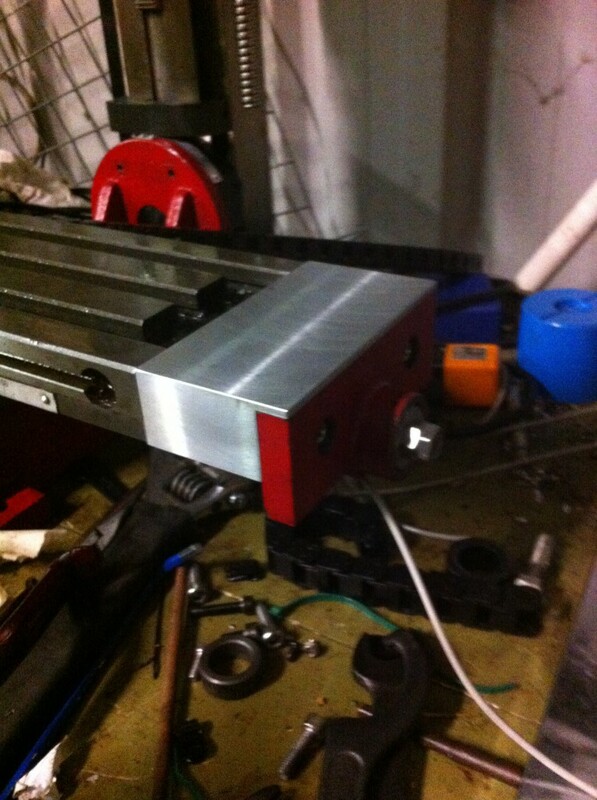 Now I had gotten the tool room at work to make the spacer for the Y axis and the spacer for the X axis i could proceed a little further with the project. Disaster, I had broken my finger at work, which bought the project to a stand still, was in hospital for nearly 3 days waiting on surgery to repair the damage, then weeks of healing after that. I got sick of waiting so I arranged transport to move my mill to work so my apprentice who was willing to help out could finish it for me and learn something at the same time. After a week this was the finished product. 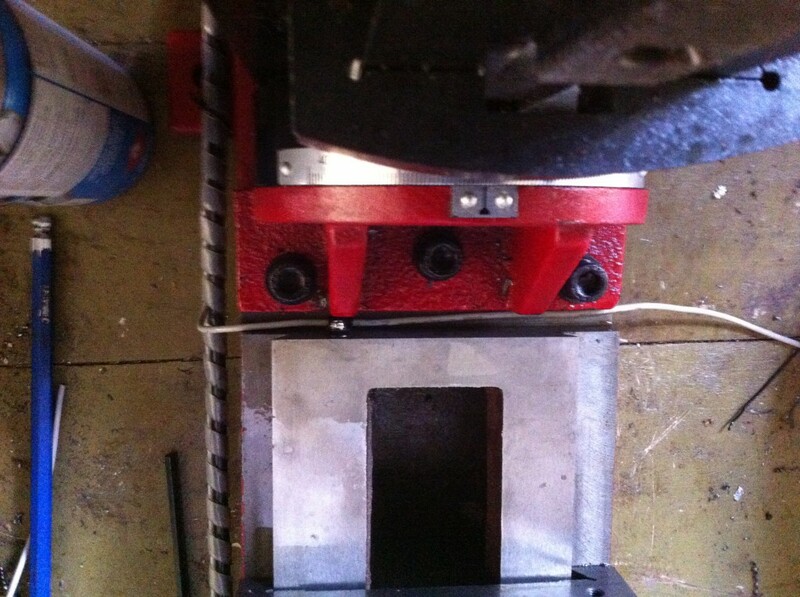 We had turned the motor control box in the back into a terminal box. All the cables in/on the mill went back to this box then to the control panel via a single cable loom. We also allowed for a lot of future alterations so naturally a few spare cores were in the loom. 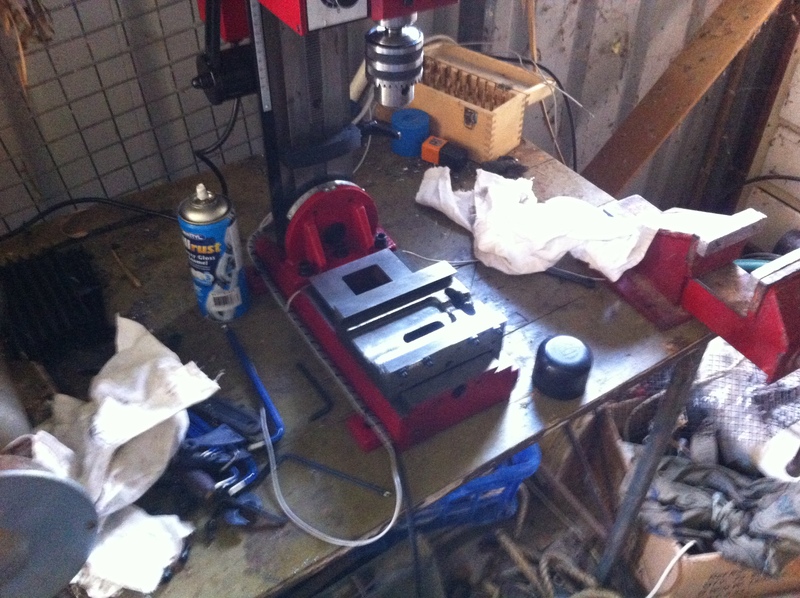 The mill then went back home where I waited for the motor mount for the X Axis to be milled up. In the photo above you can just see one of the Y Axis limits, possibly not the best position for it if you fit the rubber slide protector back on. When the axis moves in that direction the rubber protector will droop and possibly falsely activate the limit. My advice now I know this is mount the limits on the side of the base. you will also want to mount limit stops to activate the limit when it reaches that position. 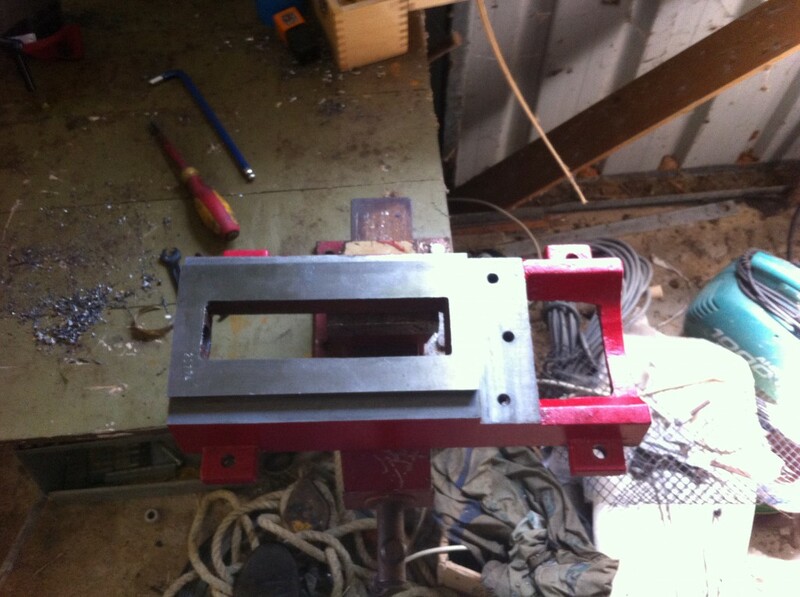 Here you can see the bracket i made up with a bit of galvanized steel, vice, hammer, tin snips and a bench grinder. I then drilled and tapped holes and mounted it to the Z Axis Fuselage, then tapped 2 M3 holes to fit the drag chain to the bracket. 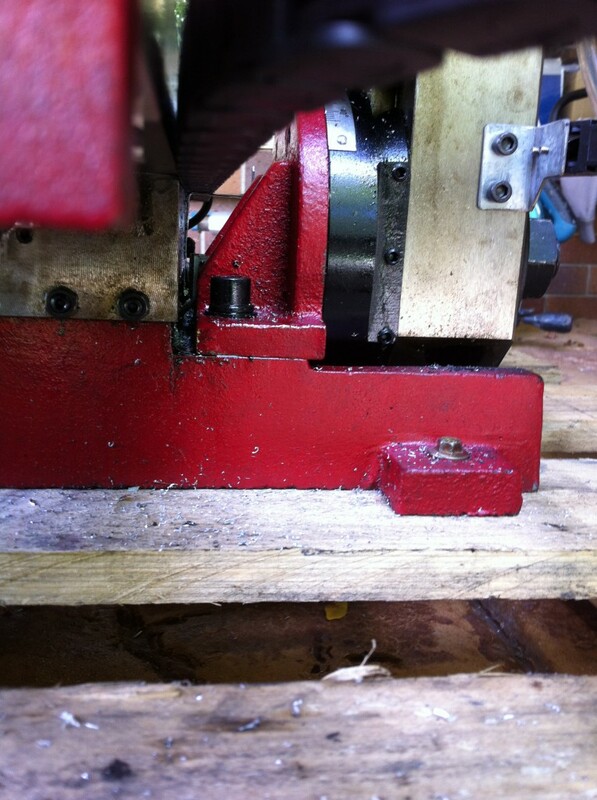 I got tired of waiting for the new motor mount to be milled up, so i retro fitted the old one (one from the kit) to the mill. 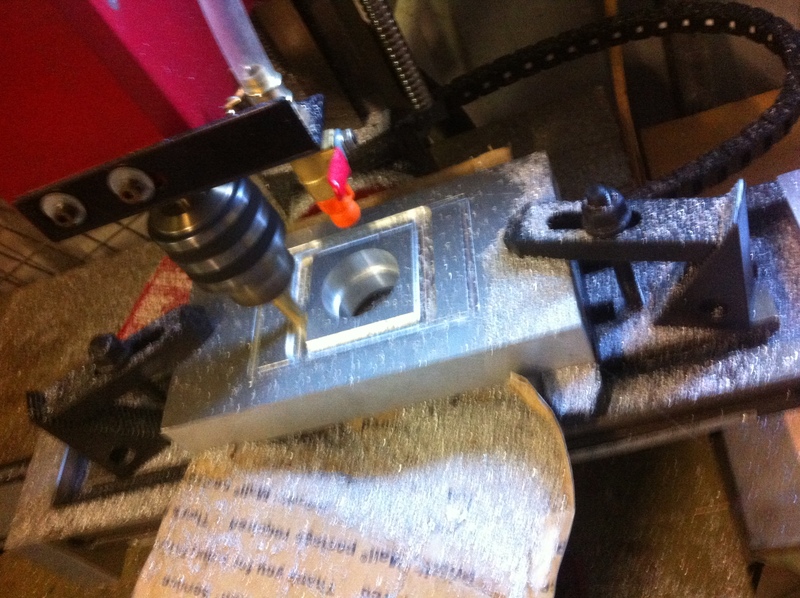 I then began to mill out the new motor mount, I was pretty happy with the result. 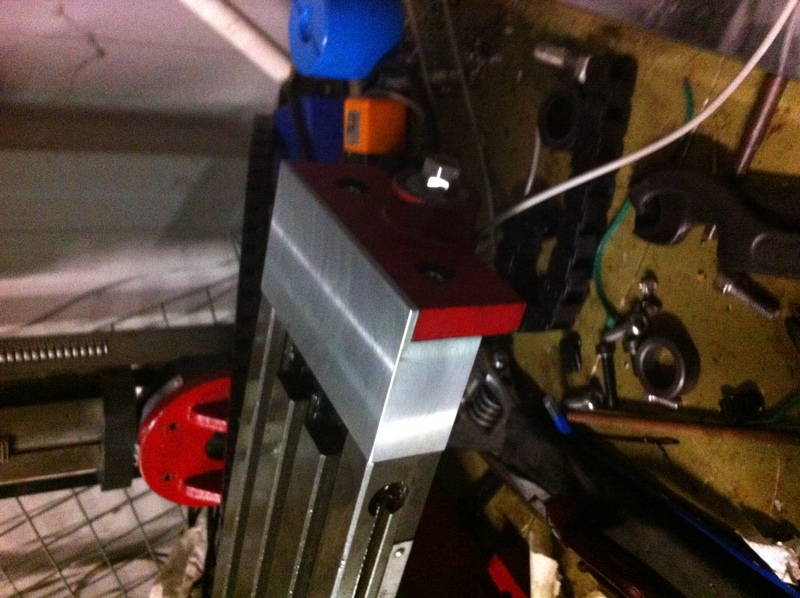 Here is a picture of the new motor mount fitted to the mill. Building the control panel was my favourite part, when I get a chance I will provide an in depth manual/drawings and wiring diagrams. My main concern was fitting all the equipment nice and neatly in a normal panel, so i made a few prototypes on some perspex i had laying around to get a general layout. Now to putting the gear tray into the panel and wiring it in. Once I had the panel wired i decided to do some testing to make sure everything worked. Upon initial testing i had found that the 48VDC power supply was faulty, after inspection i had found capacitors and other components poorly soldered and loose, re-soldered and tested again, saved myself another $125 bucks. I had also installed a PLC for when I build an enclosure, so when the door is open i disable the spindle and drives, unless it is in setup up mode. When door is closed i can then switch it to production and away we go. Just a little safety conscious. After some testing I found a few flaws with what I had wired, it was done perfectly just could have been done better. For example, my machine has a Machine Start button and an E-Stop, now the E-stop worked fine dropped out all the drives, spindle motor, and interfaced with the control card so the software would know when it was in Emergency Stop. The E-Stop killed the whole machine which was good, now here was the issue. I could reset the E-Stop and reset the software Mach3 without turning on the machine with the Machine Start button. I could start a program but the mill would not operate until the machine start button was pressed, so naturally I had to install an interlock. I had decided to test the spindle motor, cause up until this point I had no proof that the spindle control circuit I had chosen to use was going to work I only had theory to support my hypothesis. Surprisingly it worked fine just had to do some fine tuning to get the max speed correct. I love it when a plan comes together! You can find a copy of the Electrical Drawings for the Mill in the DKE Store. Please note these are drawn to Australian Wiring Standards. If you live outside of Australia please consult your own electrician to find out your local supply voltage, the correct equipment you should be using and the correct standards and codes you should be following. 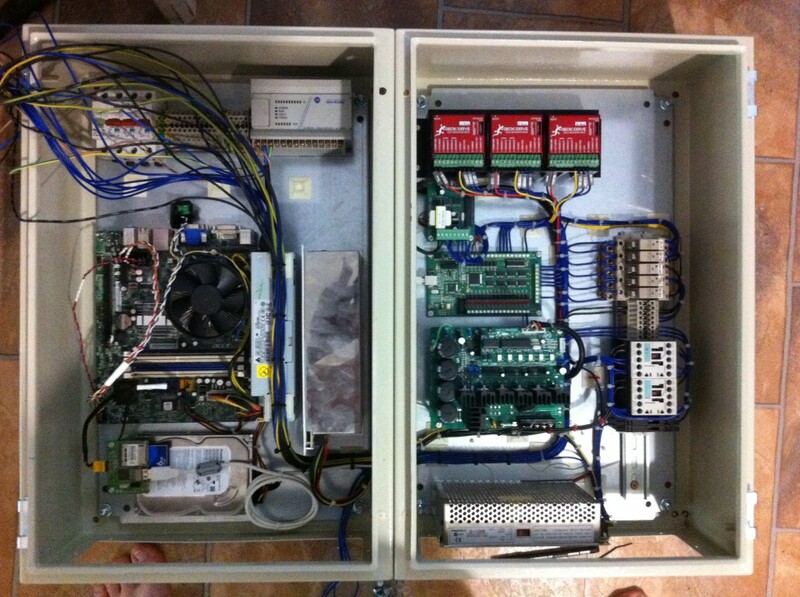 Any Electrical work should be performed by a Qualified and Competent Electrician.